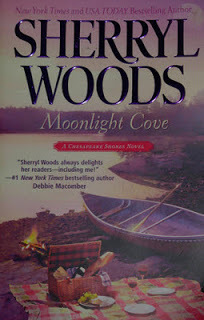 Finally, in Moonlight Cove, author Sherryl Woods gets back to the story of Jess O’Brien and we learn why she can’t find a lasting relationship with a man. There is someone who has loved her since he can’t remember and that is Will Lincoln. Now a psychologist, Will knows Jess better than she knows herself. But Jess is unsure whether she can get past her own faults and issues to let herself love a man like Will, especially now that he is in the medical profession.To top it all off here’s a fun twist to the situation. Will has started an online dating service. One that he has designed from the ground up based upon his knowledge in the psychology field. Buy Jess doesn’t know about that just yet. She and her two girlfriends are about to find out just how good Will is when it comes to finding them their true loves.